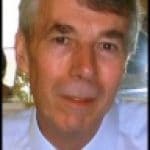 This week I am using the spread-shot approach to recommending utilities. I will be astonished if you use all these programs, yet I will be disappointed if you don’t find one utility that’s just what you are looking for. I’ve been having a problem where I cannot rename .MOV files (Apple QuickTime) using Windows Explorer. The very moment I attempt a right-click of any such file, Explorer.exe seems to allocate an indefinite lock on the file. I located several blogs on this happenstance which, apparently, is an integration bug with QuickTime and Microsoft. Getting to my point … I researched an alternative and found the following tool. Best of all, it’s versatile in that it replaces a variety of other players. It also features a complete streaming server, for those who wish to publish vlogs and such. Free and Open Source cross-platform media player. Supports a large number of multimedia formats, without the need for additional codecs. For those who utilize WSUS you can get an upgrade: Windows Server Update Services 3.0 SP2 RTM is available from September 2009, and you know what say about version 3 of any product, this is when it comes of age. NEW! 3rd party updates! Deploy, manage & report on 3rd party patches & applications with WSUS. Create your own packages to deploy any MSI, MSP, or EXE. With Solarwinds’ WSUS extension pack you can mix and match the two strategies of pushing out patches which companies such as Mozilla Firefox or Adobe Acrobat provide, or alternatively, you can create your own custom packages. The point is that WSUS does not do this for non-Microsoft software updates. You may notice more and more news articles about company data and/or email being compromised .. all because their personnel’s passwords were "weak". The tool will assist you in finding a "strong" password, which you should then use to update your personal accounts. Protect your email by choosing a strong password. Otherwise, if someone was to access any of your email accounts, it could be devastating. I hope to encourage you today to test your current password(s) using this online Strong Password tool. 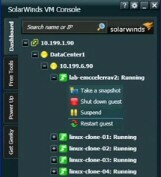 SolarWinds’ network performance monitor will help you discover what’s happening on your network. This utility will also guide you through troubleshooting; the dashboard will indicate whether the root cause is a broken link, faulty equipment or resource overload. Because it produces network-centric views, the NPM is intuitive to navigate, and you can export the results to Microsoft Visio. Perhaps Orion’s best feature is the way it suggests solutions. Moreover, if problems arise out of the blue, then you can configure Orion NPM v12 to notify members of your team what’s changed and how to fix it. If you are interested in troubleshooting, and creating network maps, then give NPM a try. 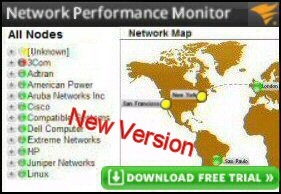 Download a free trial of Orion’s Network Performance Monitor. Tired of writing scripts? The User Management Resource Administrator solution by Tools4ever offers an alternative to time-consuming manual processes. It features 100% auto provisioning, Helpdesk Delegation, Connectors to more than 130 systems/applications, Workflow Management, Self Service and many other benefits. Click on the link for more information onUMRA. This week Will and Guy are breaking new ground by telling Sardar jokes. These days there is a fine line between humor that reflects the difference in nationalities, and unacceptable racist jokes. As ever we seek to amuse but not to offend. In our international section we want to include jokes from as many countries as possible, and Sardar jokes are our latest additions.